Catering is an art, not a trade. It’s not just about the great taste, the flavour, or the variety of dishes and drinks; for great catering, an appealing ambience while you dine is just as important. 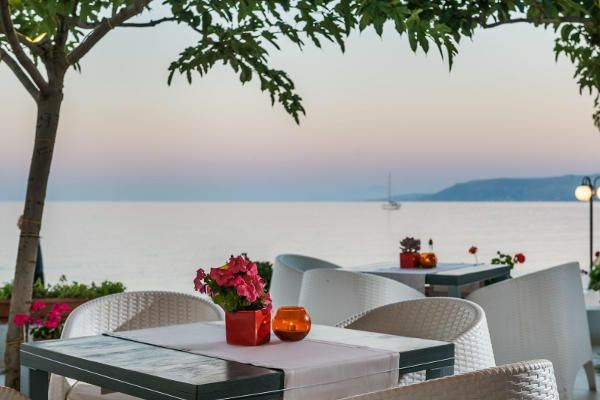 During your holiday in one of the Corissia Hotels in Georgioupolis, you can enjoy your substantial, tasty, buffet-style breakfast and dinner in our sea view restaurant in Corissia Park right by the shore. What's more, you can sample and savour a wonderful mix of traditional dishes, modern meals and fine wines at any time in our à la carte restaurant. Most rooms available in the Corissia Hotels can be reserved with half board. Half board means that two meals are included daily during your stay: breakfast and dinner. Drinks are included in the service package at breakfast, but not at dinner. If you prefer, you can also book your room with only breakfast via our website. Occasionally, we have special offers when we offer half board incl. lunch as Half Board Plus (full board). All three meals are included in full board. While drinks are included during breakfast, they are not included in the service package for the remaining meals (lunch and dinner). That’s why we have decided to allocate the most beautiful area in our complex right by the sea to your mealtimes and refrain from monotonous dining rooms in each of the hotel buildings; and although our hotels are divided into different star ratings, these divisions don’t apply at mealtimes. We want to consistently offer our guests the highest quality of dining. Crete is such an open and multifaceted holiday destination, that a generic, all-inclusive holiday on Crete simply doesn’t make sense. The all-inclusive holiday concept originated in the 90s. The concept of all-inclusive hotels first spread in countries which had poor or even dangerous infrastructure, so that visitors could enjoy an all-round safe holiday. These all-inclusive hotels were designed so that guests never had to leave the hotel complex: accommodation, catering, entertainment and children’s activity programmes were offered in a safe, sealed off resort. Excursions outside of the resort were either completely avoided or undertaken only under 'controlled' conditions. 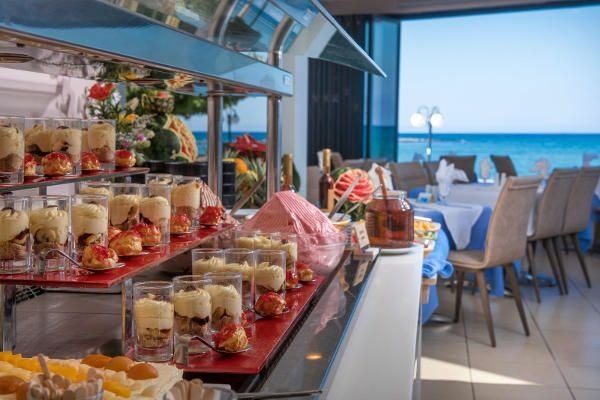 In this way, all inclusive originated as the designation for the catering style offered during this kind of hotel stay: all meals and all alcoholic and non-alcoholic drinks were included in the hotel services. 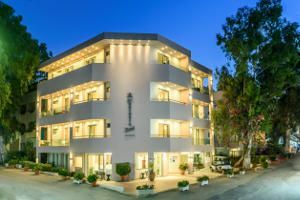 This concept travelled around the world, and many hotels offer all inclusive to the present day, although they are located in safe countries with good infrastructure, where an all-inclusive concept is not even necessary. All this, because all inclusive was considered a ‘necessity’ for a long time in the tourist industry and is still marketed today as a very attractive and affordable option, particularly for families. But, is that even true? 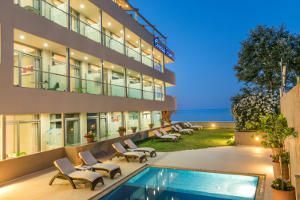 Holidays in an all-inclusive hotel certainly have their advantages and disadvantages, depending on the hotel and holiday destination. In the tourist industry, however, all-inclusive services are all too often advertised in a way that implies "hassle free" for a "bargain". We at Corissia Hotels are firmly convinced that the disadvantages of an all-inclusive holiday far outweigh any possible benefits, and so we do not offer this catering option to our guests. Below, you will find some of the reasons for this. Crete is such an open and multifaceted holiday destination, that the generic all-inclusive holiday on Crete simply makes no sense. 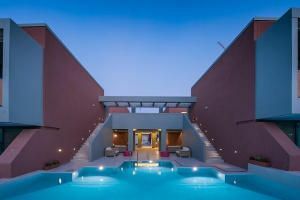 We believe that, by definition, holidaying on Crete has nothing to do with isolated, self-contained resorts. The country and its people are simply far too open and diverse for that form of holiday. Feel free to mingle with the people, discover genuine hospitality and joie de vivre, and let this stunning holiday setting take you by surprise: a beautiful island with long, sandy beaches and idyllic coves, with ancient monuments and medieval castles, with a vibrant nightlife and superb hiking trails through high mountains and deep ravines. Whilst half board or full board service packages have an international standard, to this day there is no universal standard for all inclusive packages. Very often, the scope of the drinks and meals provided in all-inclusive services outside of main meal times is limited or individually defined. All kinds of variations of the all-inclusive concept are offered today: 'All Inclusive Soft', 'All Inclusive Premium', 'All Inclusive Plus', 'Ultra All Inclusive' etc. Despite these names, the services offered are by no means binding and consistent: every company can change them to suit themselves. As a result, misunderstandings and disappointments are not uncommon. That really shouldn’t be the case on holiday. An all-inclusive vacation is characterised by unlimited food and drinks - including alcoholic beverages. What’s more, guests with diverse cultural backgrounds are often accommodated together in large all-inclusive clubs. If the holiday is also in the lower price segment, then excessive alcohol consumption represents "typical travel behaviour" r” among certain holidaymakers. This means that alcohol-related misconduct resulting in disturbance of the peace or other disturbances for other guests are not uncommon in all-inclusive resorts. We find it very surprising given these circumstances that all-inclusive holidays should be marketed at families as a cheap and attractive option. Hotels and tour operators always calculate a surcharge for an all-inclusive service; at the end of the day, they need to cover their costs. In the case of very low priced all-inclusive packages, which you will often find due to the high level of competition, it’s not uncommon for the quality of the food and drinks to suffer, and, sometimes, the health of holidaymakers also suffers as a result. Great caution is advised. Good hotels are certainly very mindful of the quality of food and drinks, but logically they will then add the corresponding surcharge for all inclusive packages (e.g. €25.00 or more per person per day compared to half board). Which begs the question: is this extra charge really worth it for holidaymakers when compared to half board? Or, in many cases, is all inclusive merely a 'good' marketing trick of the tourism industry? Your holiday on Crete means a refreshing vacation with sun and sea. "I close my eyes and concentrate only on the sound of the sea. It's singing my tune! The sun may be hot, yet I can be sure: any moment now the next refreshing wave will come and caress my body once more..."
"Look, the moon is rising above the sea! Let's just stay here and watch it together. See how it rises up through the heavens, illuminating our balcony in shades of copper red. For tonight, my love, I have fallen in love with you once more..."
"The horizon had been hidden from sight, but now the sun is slowly rising, spreading all the colours of the dawn on the horizon between sea and sky. A light sea breeze caresses my face and whispers in my ear: 'Welcome here. Welcome home'. Oh, if we could only enjoy our breakfast like this every day!" "What a contrast! We had hardly left the beach and suddenly, we entered another world: steep mountains truncated by deep gorges, little hills full of olive trees and vineyards, meadows covered with wild herbs and flowers of every hue. Look, there’s a bee savouring the thyme!" - Hey, honey, penny for your thoughts? Come on, let's go, there’s so much more of the Palace of Knossos to see!"